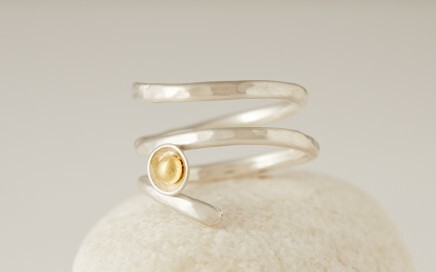 Recycled silver swirl ring with silver cup and recycled gold inside. 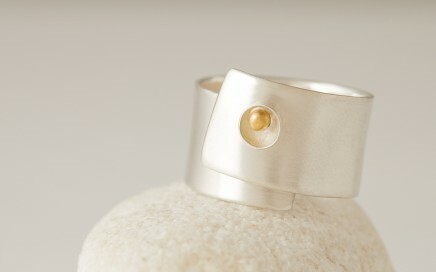 A recycled silver wrap ring with a cup. Inside the cup is a single gold nuget of recycled gold.called a wrap ring, The ring gives the impression of wrapping around the finger. 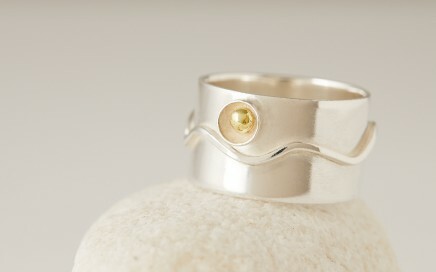 Recycled Silver ring with silver wave and cup. The cup contains a nugget of recycled gold inside. 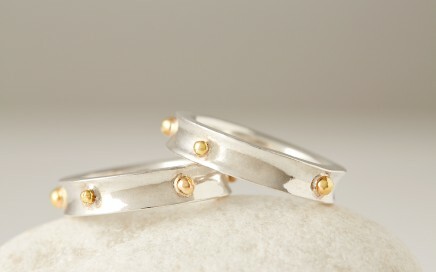 Heavy Recycled Silver ring with recycled gold dots around the ring for decoration. 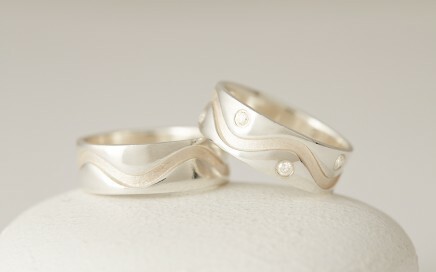 Recycled silver chunky wave ring with intended wave that creates depth. 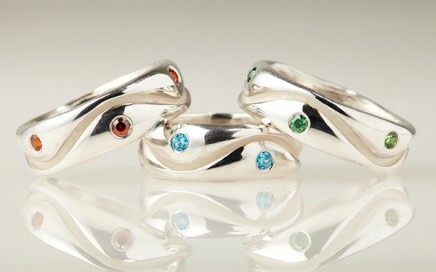 The ring comes as plain or with with 8 set Cubic Zirconia’s with colours of your choice. Price is for a single ring.